The Saramonic LC-C35 allows you to record mono and stereo audio to your iOS devices from any microphones or mixers with a 3.5mm TRS output. It is tangle free and easy to be carried around as a perfect audio recording solution for iOS devices. The Saramonic LC-C35 allows you to record mono and stereo audio to your iOS devices from any microphones or mixers with a 3.5mm TRS output. 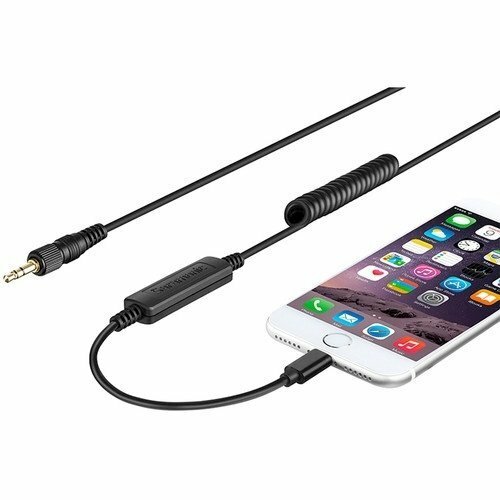 It is tangle free and easy to be carried around as a perfect audio recording solution for iOS devices. The 3.5mm locking-type male plug can be compatible with wireless microphones like the Saramonic UwMic9, VmicLink5, SR-WM4C, wired microphones like the Vmic, or other audio equipment with a standard 3.5mm output.